Chemical Formulas Chemical Formulas What is the element Einsteinium? A synthetic transuranic element first produced by neutron irradiation of uranium in a thermonuclear explosion and now usually produced in the laboratory by irradiating plutonium and other elements. It is attacked by Oxygen, steam and acids but not by alkalis. Einsteinium is metallic and radioactive. A transuranic element means an element with atoms heavier than those of Uranium with an atomic number greater than 92. The Atomic Number of this element is 99 and the Element Symbol is Es. Named in honour of Albert Einstein, the famous physicist who proposed the theory of relativity. Elements can be classified based on their physical states (States of Matter) e.g. gas, solid or liquid. This element is a solid. Einsteinium classified as an element in the Actinide series as one of the "Rare Earth Elements" which can located in Group 3 elements of the Periodic Table and in the 6th and 7th periods. The Rare Earth Elements are of the Lanthanide and Actinide series. Most of the elements in the Actinide series are synthetic or man-made. Nearly 75% of all the elements in the Periodic Table are classified as metals which are detailed in the List of Metals. Einsteinium was first identified in 1952 by Albert Ghiorso at the University of California, Berkeley and another team headed by G.R. Choppin at Los Alamos National Laboratory, USA. Einsteinium was found in the debris of thermonuclear weapons in 1952. The American scientist Glenn T. Seaborg (1912 - 1999) won the 1951 Nobel Prize in Chemistry for "discoveries in the chemistry of the transuranium elements". Glenn Seaborg contributed to the discovery and isolation of ten elements: plutonium, americium, curium, berkelium, californium, einsteinium, fermium, mendelevium, nobelium and element 106, which was named seaborgium in his honor whilst he was still living. 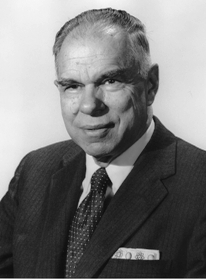 Glenn Seaborg also developed the actinide concept, which led to the current arrangement of the actinoid series in the periodic table of the elements. Check out Einsteinium on the Periodic Table which arranges each chemical element according to its atomic number, as based on the Periodic Law, so that chemical elements with similar properties are in the same column. Our Periodic Table is simple to use - just click on the symbol for Einsteinium as on the Periodic Table for additional information and for an instant comparison of the Atomic Weight, Melting Point, Boiling Point and Mass - G/cc with any other element. An invaluable source of facts and information as a Chemistry reference guide. The Standardised Periodic Table in use today was agreed by the International Union of Pure Applied Chemistry, IUPAC, in 1985 and now recognises more periods and elements than Dimitri Mendeleev knew in his day in his day but still all fitting into his concept of the "Periodic Table" in which Einsteinium is just one element that can be found. These articles contain facts and information relating to Einsteinium and each of the other elements including the Periodic Symbol, group, classification, properties and atomic number which is often referred to as the Periodic Table Number. Test your knowledge of chemistry and the Periodic Table by completing the Element Symbols and Atomic Numbers on our Blank Periodic Table. Chemistry students will also find a helpful section on Chemical Formulas.